Objective: Provide skylights, whiteboards and desks to 4 classrooms. 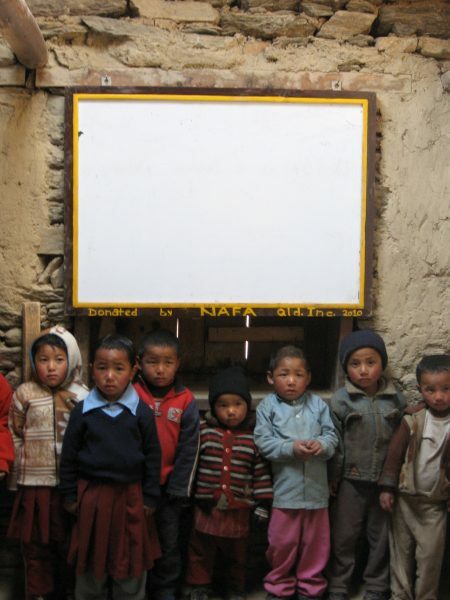 Details: NAFA members visited school in February 2010 and noted the poor state of lighting in each room, the dust created by the inefficient blackboard and the lack of a good school library. The desks in these old classrooms were in need of repair. We were advised the refit would cost $864. Outcomes: Project visited in January 2011 by NAFA exec members. They could see the difference in the brightness of the classrooms and how the whiteboards reduced the dust from the chalk as well as new desks for the children to work from. This has given the children an added pride in their school.